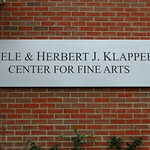 Formerly the Fine Arts and Facilities Building, this 7,000-square-foot center represents Adelphi’s commitment to the arts. 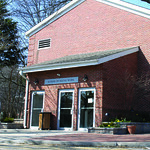 The Adelphi Performing Arts Center, which opened in fall 2008, complements Adelphi’s renowned theatre, music and dance programs, and has become a cultural center for the region. 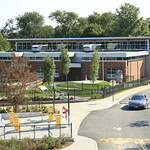 Adelphi’s Alice Brown Early Learning Center offers a first-rate child care program for the children of Adelphi faculty, staff, students and area residents. Eleanor Roosevelt gave one of her major addresses during this building’s dedication ceremony in May 1944. 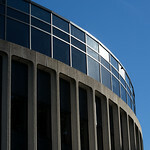 Dedicated in February 1972, it was originally home to the offices of the Alumni Association. 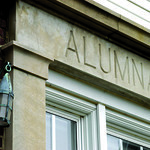 The building was renamed in March 2015 after a $2.5 million commitment from Trustee Frank Angello ’77 and his wife Phyllis. 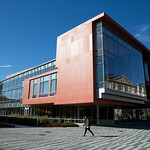 This building houses classrooms for many arts and sciences courses and features a new Mac graphics lab. 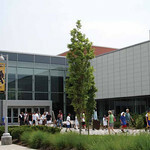 Adelphi’s 76,000-square-foot Center for Recreation and Sports, which opened in fall 2008, is the home of Adelphi Panther Athletics and our popular Campus Recreation program. 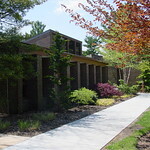 Hagedorn Hall houses the Robert B. Willumstad School of Business, University College for working adults, and the Office of Information Technology. 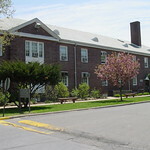 Harvey Hall houses the Ruth S. Ammon School of Education, as well as some offices of the College of Arts and Sciences. 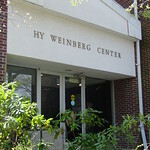 Hy Weinberg Center houses the Department of Communication Sciences and Disorders, as well as offices for psychological services. 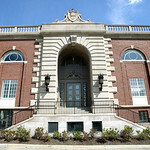 The University’s main administration building is named for the first president of the University, Charles H. Levermore. 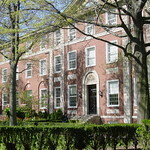 Levermore Hall houses human resources, admissions, registrar, financial services and more. The Nexus Building, which opened in the fall of 2016, is the inspiring new home of our College of Nursing and Public Health and a thriving center for student services, admissions and alumni outreach. Post Hall houses the Center for Career Development, as well as a variety of dining and convenience options, including the Convenience Store. 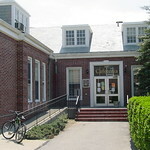 The University Center is the hub of the University and contains Student Affairs, offices for student organizations, and student lounges including computers. 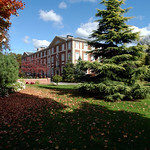 As the name suggests, this uniquely structured building houses classrooms for various science courses and labs, as well as offices for other departments in Adelphi’s College of Arts and Sciences. 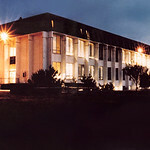 This building houses the faculty and classes for the School of Social Work. 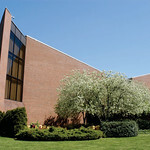 This is Adelphi’s main library, and is an invaluable resource for students, faculty, staff and alumni. 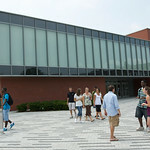 Completely renovated and reopened in fall 2009, Woodruff Hall is now a state-of-the art center for Adelphi’s highly regarded academic programs in health and physical education and sports management.